New House Republicans Get Friendly Advice : It's All Politics Among the advice, freshman House Republicans were told to read and reread the Constitution. One veteran lawmaker also advised that in order to avoid an ambush by the media, they use the tunnels under the Capitol complex when they cast floor votes. The Hill reports that new House Republican House members have received some friendly advice on how to avoid Congress and Washington's pitfalls from the next majority leader of their chamber, Rep. Eric Cantor (R-VA). 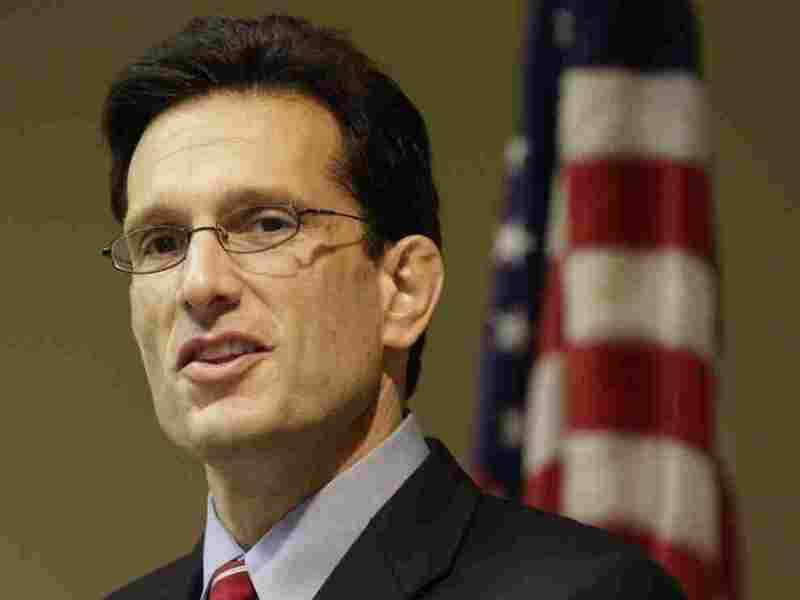 Cantor offered his own tips as well as a compilation of thise from other Republican members. Among the advice. Read the U.S. Constitution a lot and use the tunnel under the Capitol complex to dodge the news media. I'm all for rereading the Constitution. But new members will search in vain there for the section that requires judicial review of legislative actions. That's because it doesn't exist. As we were all supposed to learn in either high school or college, Chief Justice John Marshall enshrined the practice of judicial review through his opinion in Marbury v. Madison. That decision set the stage for scores of important constitutional interpretations by the Supreme Court that have continued down to the present day. So new lawmakers may want to expand their constitutional education beyond the Constitution itself. The Government Printing Office has a wonderful site that provides the annotated Constitution. Perhaps my most favorite piece of advice comes from Rep. Greg Harper (R-MS). He advises freshmen that if they want to avoid a media "ambush" as they head to and from their offices for floor votes, they should not walk above ground but use the tunnels. Of course, the experienced reporters know about this trick. And now everyone else does, too.